When you’re living in South Africa, having access to your own vehicle is not just a luxury – it is a necessity! But what happens if you have a bad credit record? It is not easy… And very disheartening. Most financial institutions will turn you down for motor vehicle finance in South Africa if you don’t have a good credit record. The rejection is hard to face, especially if you’re desperate for wheels to get you to work and back! Luckily, Earn-A-Car has a solution that ensures that you are mobile and on the road in your very own car. And, best of all, you can be approved – even if you are blacklisted! 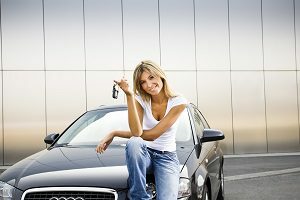 Earn-A-Car, unlike traditional car financing, is great for people who are buying a car while blacklisted – since you are more likely to be approved. This is because we retain ownership of the vehicle, while you are simply renting it for an agreed period. So, not only do we solve the immediate problem of getting you a car, but we also give you the opportunity to buy a car if you would wish to do so! If the banks have turned you down, you have probably lost all hope of ever owning your own wheels. But at Earn-A-Car, we give you cash back for every successful rental payment that you make on time. We pay this as a lump sum at the end of your rental agreement, and added to your instalments that we calculate, you are then able to buy your car. Being consistent with your payments helps you to earn your car! Can afford a small admin fee, you could be driving away sooner than you think! For more info on our rent-to-own bad credit car loans, contact us today.